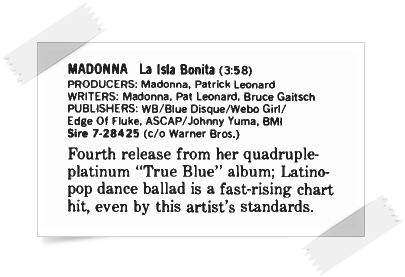 On March 28 1987, the final single from Madonna’s True Blue album, La Isla Bonita, was briefly reviewed in Billboard magazine. The now-classic song was Madonna’s first sonic exploration into her love of Latin music and culture which would become a recurring inspiration in her body of work. 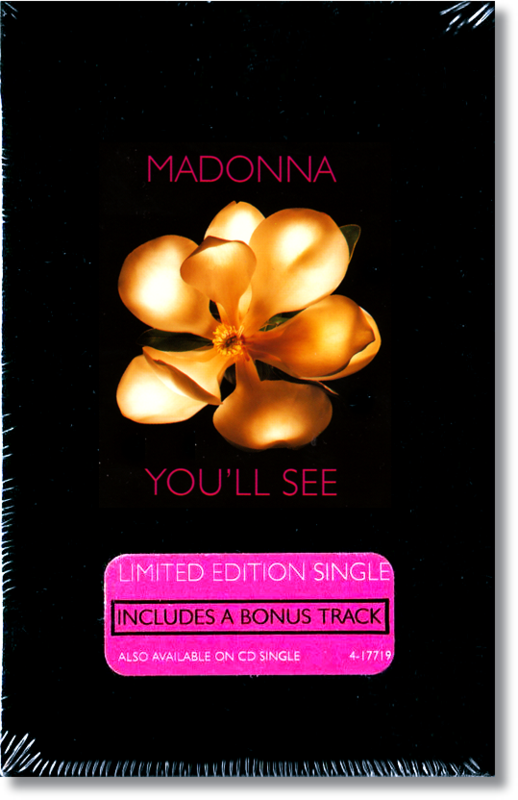 On February 17 1996, the maxi-single for You’ll See spent its final week on the Maxi-Single Sales chart in Billboard magazine at #40. The release had a notably short run on the Maxi-Single Sales chart (by Madonna’s typically high standards), spending only three weeks on the proper chart, after debuting on the Bubbling Under chart at #52. It peaked at #18 on February 3rd. There are several potential reasons that could explain the low sales of its maxi-single. Ballads, unless heavily and successfully remixed, naturally generated less interest with this format, which was primarily geared towards attracting dance music listeners. Many of Madonna’s ballads were not released in the format for this reason. 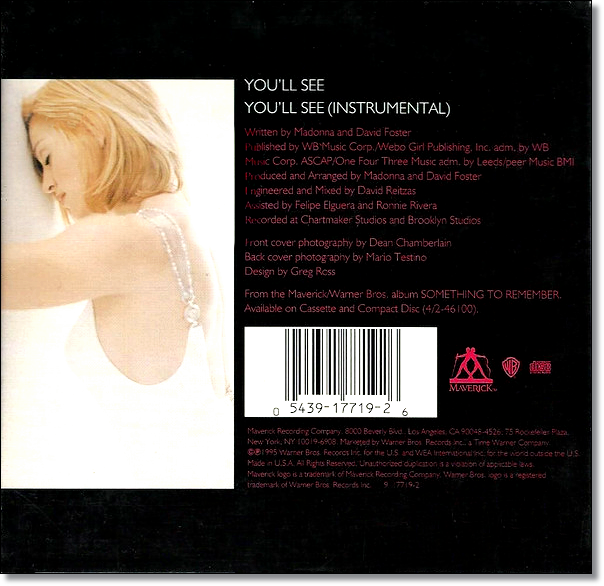 You’ll See was not given an officially released remix treatment but instead featured a Spanish-sung version of the song, an instrumental version, and a live version of another previous ballad hit, Live To Tell. Further reducing any incentive to buy the maxi-single was the fact that standard U.S. CD and cassette single inexplicably included three of the four cuts featured on the maxi-single, leaving only the Spanish version as an exclusive track on the latter. One wonders if the inclusion of the live version of Live To Tell on the normally two-track standard single was possibly due to a pressing error that they decided to go ahead and release, since it is not listed on the sleeve but is instead promoted as a nameless bonus track on an outer label affixed to the CD and cassette single cellophane (its inclusion is noted on the physical disc and cassette). 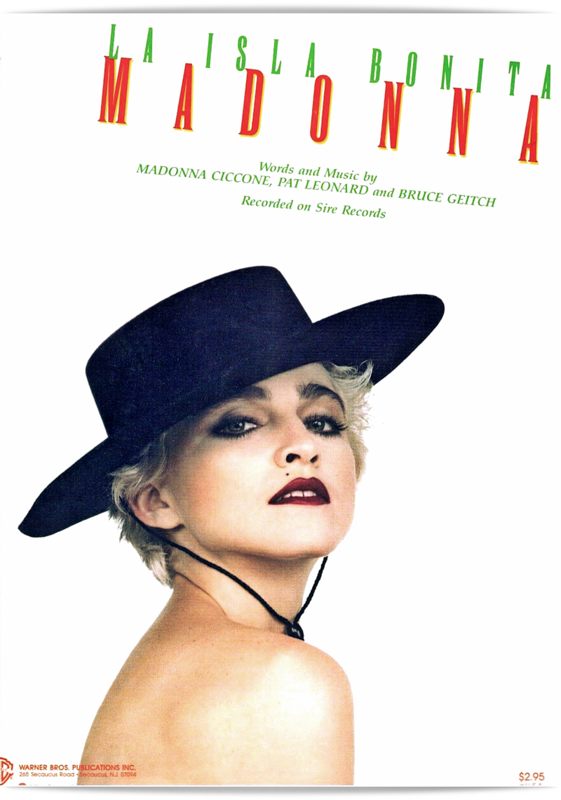 Only one Madonna maxi-single issued in the U.S. had both a shorter run and a lower peak on the Maxi-Single Sales chart, and it was another hit ballad. 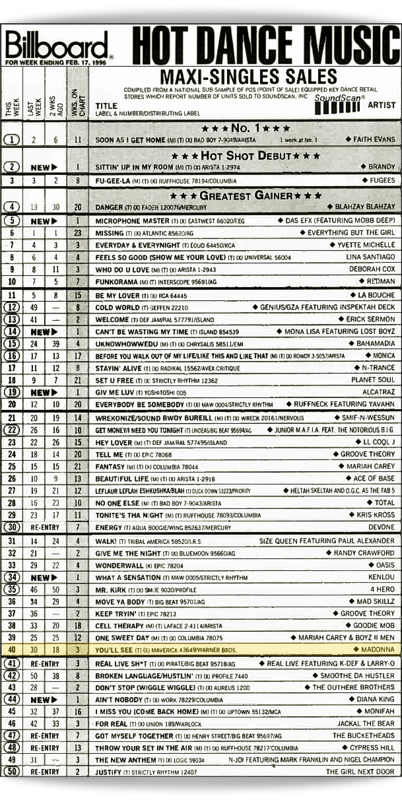 I’ll Remember spent only two weeks on the chart (plus its first week on the Bubbling Under chart), peaking at #30 on May 21, 1994. Similarly, it was also padded with a live cut. However, it also included some creative reworkings of the track by William Orbit, making the reason for its dismal placement on the chart more perplexing. In terms of contents value, it easily outshines the You’ll See maxi-single. In Canada, You’ll See was only issued as a CD maxi-single, with no standard single being issued on cassette or CD. On January 19 1991, Billboard magazine reported on the controversy surrounding Madonna’s use of prose from the Book of Revelations in a remix featured on the maxi-single of Justify My Love, titled The Beast Within. 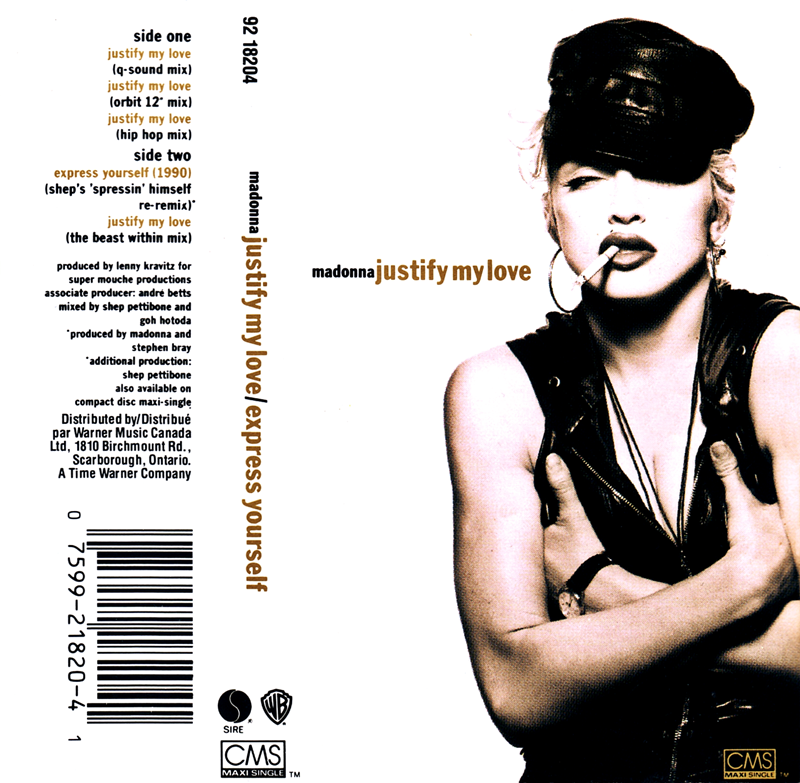 The remix was created by Madonna & Lenny Kravitz during the recording session for Justify My Love. While The Beast Within would later be featured prominently in 1993’s Girlie Show tour and as the opening sequence of 2004’s Re-Invention tour, in both cases the biblical verse that had sparked the controversy was excluded. 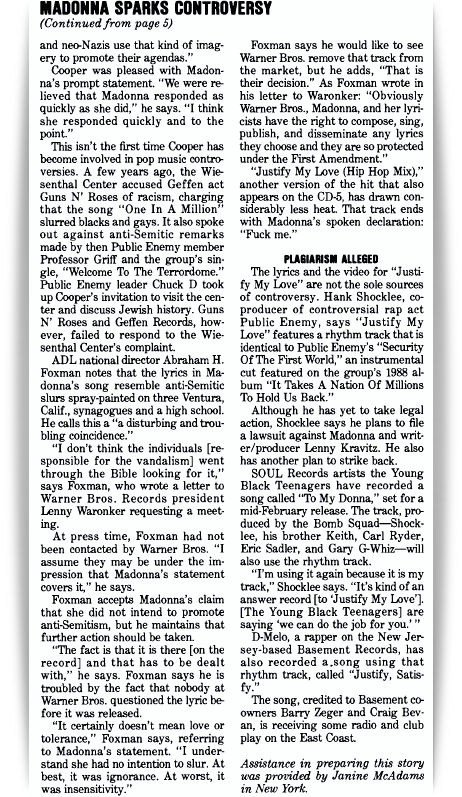 The article also mentions the song’s use of Public Enemy’s Security Of The First World as the basis of Justify My Love‘s rhythm track, with Public Enemy’s co-producer revealing an intent to sue Madonna & Kravitz over its use. Madonna had only received credit for “additional lyrics” on the song, while Kravitz was originally credited as composer and producer. On January 16 1993, Madonna was musical guest on NBC-TV’s Saturday Night Live, performing Fever and Bad Girl. She also appeared in the show’s opening skit – a humorous homage to Marilyn Monroe – alongside comedians Phil Hartman and Jan Hooks. Perhaps a little too into character or, more likely, a little too nervous – she managed to flub the show’s signature intro tag line during the live broadcast, with the mistake being subsequently edited out of all repeated airings of the episode. Fortunately any nervous energy quickly dissipated once Madonna took to the musical stage, where she delivered a stunningly confident and nuanced vocal performance backed by an equally impressive new band (which included several members that would be recruited for her Girlie Show tour later in the year). It was Madonna’s only live performance of Bad Girl to date, and despite many appearances on SNL, her only inclusion as featured musical guest. The episode was hosted by Harvey Keitel, who was only weeks away from working with Madonna again in the film Dangerous Game (then known as Snake Eyes) which began shooting in February. Would you like to see Madonna return to SNL as musical guest? 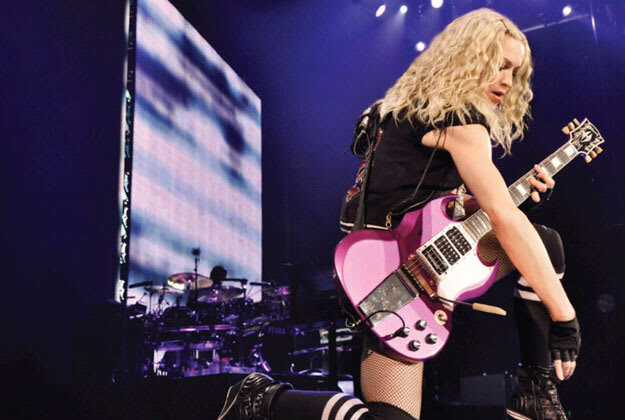 Madonna’s legendary Sticky & Sweet Tour, the most successful tour by a solo artist in history, has been chronicled by her longtime manager Guy Oseary and the resulting book, Madonna: Sticky & Sweet is being published by powerHouse Books (February 2010). The glossy retrospective includes 500 extraordinary photographs taken on and off stage during the course of the 58 show tour which circled the globe in 2008 and was seen by over 2 1/2 million fans. Oseary’s discerning eye along with his unprecedented access to Madonna before, during and after each show gives the viewer a unique insight into the journey of a lifetime. The Sticky & Sweet photo book feature the four segments of the concert experience including the opening “Pimp” section, and Old School salute to early NYC dance roots, onto Romani music influences and escalating in a rave finale. Oseary previously released the critically acclaimed Madonna: Confessions photo book, also published by powerHouse Books which covered her previous tour. Guy Oseary is the CEO of Maverick and Madonna’s manager. He has worked closely with Madonna for almost two decades, and was the only individual permitted to take photographs both on and backstage on the landmark Sticky & Sweet Tour. Oseary’s first book, Madonna: Confessions, was published by powerHouse in 2008. 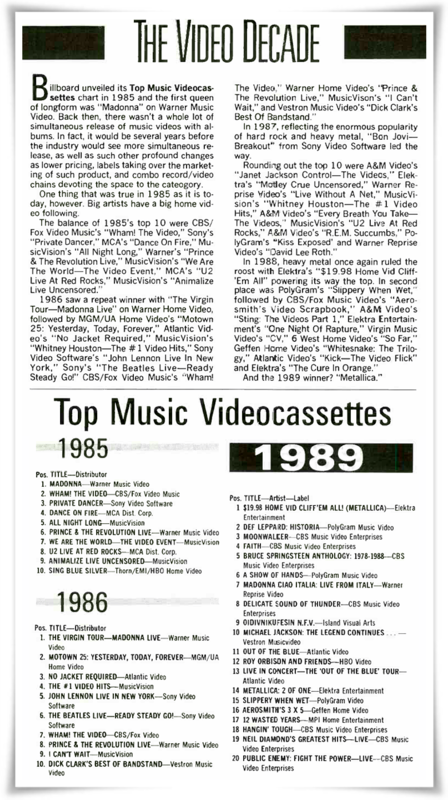 On January 6 1990, Billboard magazine looked back at the top-selling music videocassettes of the 1980’s. All three of Madonna’s qualifying releases charted, with both her self-titled four-video EP and Madonna Live: The Virgin Tour topping the list for the years 1985 and 1986 respectively. 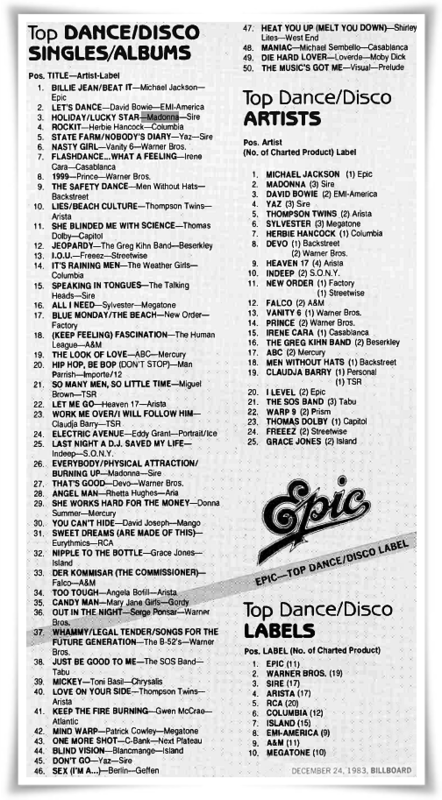 It should be noted that Ciao Italia, which ranked #7 on the 1989 tally, was at a disadvantage for this type of chart due to its mid-year release. Had it been released in early 1988, or even late 1987, it certainly would have fared better. On December 24 1983, Madonna was named runner-up for Top Dance/Disco Artist Of The Year in Billboard magazine’s year-end issue, while Michael Jackson took top honors. 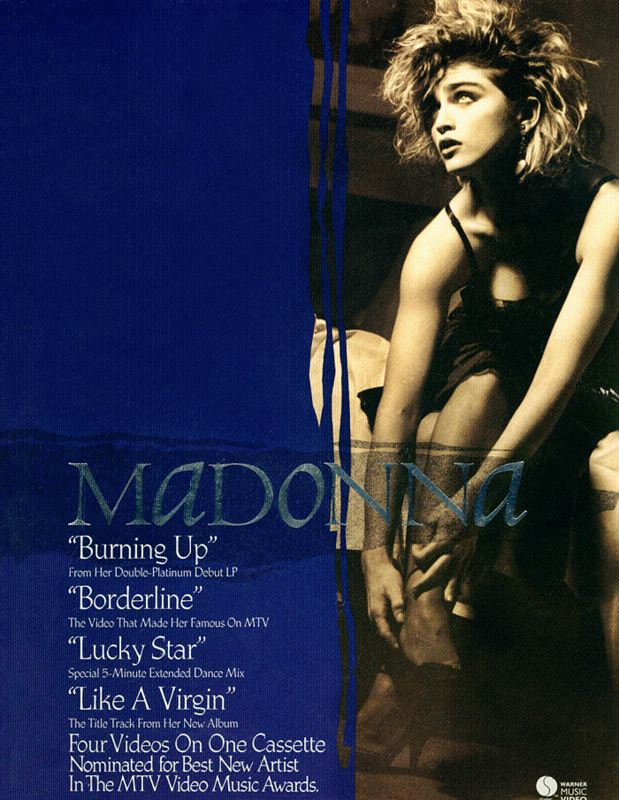 The double-sided club hit Holiday/Lucky Star peaked at #3 on the Top Dance/Disco Singles Of The Year tally, while Madonna’s second entry at #26 combined points from her first two single releases, Everybody and Burning Up/Physical Attraction.